Reviews – Strider Nolan Media, Inc. Thanks to the Internet Review of Books for the first published review. They call Pretty Boy Floyd’s Clarinet “stories told with wit and warmth, charm and soul.” The full review can be found here. Barry Yelton of Mooresboro has written what he describes as his first real novel in Season of the Crow. Yelton has written short stories, essays, poems and a blog. 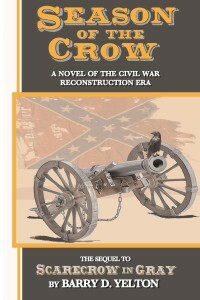 He has also written a fictionalized version of his family history in Scarecrow in Gray, which takes place during the Civil War and is set before his newest book. 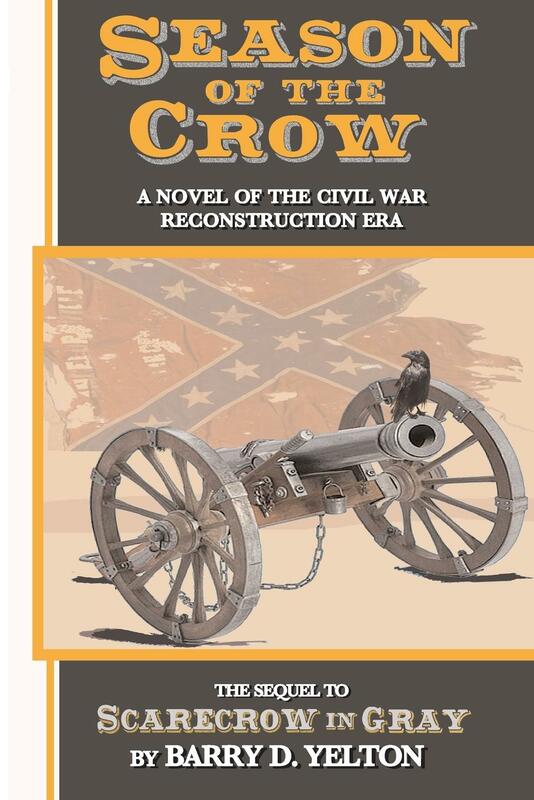 Yelton said he hadn’t planned on writing another Civil War story, but he got talked into it. “One of my friends, the librarian at Henrietta, Deb Womack, said she liked the book but complained about the ending. She wanted to know more,” he said. Yelton told her the book was about his great-grandfather, Francis Marion Yelton, and about him going to war and coming home; and he came home, so it ended. But that wasn’t enough for Womack and she and other family and friends talked him into doing it. “So I tried to create a novel in this new one that tells the story of what happened after he came home, which is all fiction,” Yelton said. The first story, Scarecrow in Gray, is based on Yelton’s great-grandfather, Francis Marion Yelton, who grew up and lived in Rutherfordton, probably around the Camp Creek area, and is buried in the Camp Creek Church Cemetery according to Yelton. According to Yelton, the family legend goes that Francis Yelton was farming and he got tired of people accusing him of dodging the war by serving in the home guards. So he went to Camp Vance in Morganton in August of 1864, and enlisted and joined the 18th NC Volunteer Infantry. The story brings former slaves from Charleston, South Carolina up to Rutherford County in search of Francis Marion and the help they’ve heard he can give them. “And the way Francis and his family treated these folks, and another family that the parents were lynched right here in Rutherford County. And what happens to the children and how his wife Harriet … treated them and also some people treated them and [Harriet] because of that, that’s the key part of the story,” Yelton said. Yelton said he read many books on the Civil War, including Shelby Foote’s three-volume set on the subject. … “I tried to make it as true to the period as possible,” he said. Yelton says he isn’t sure if he’ll write another book, but if he does, he would like to set it in a more modern time. Season of the Crow is available at most bookstores.